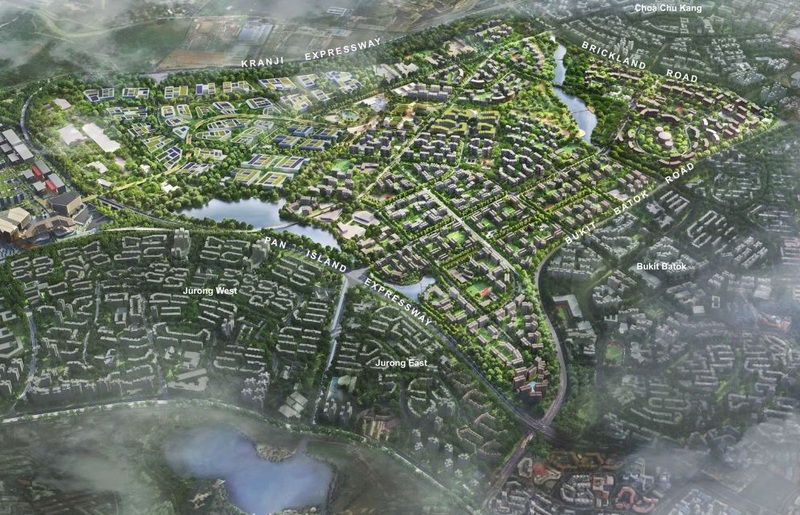 Could Tengah really be the next Punggol? If you’re a young couple looking at BTO options, there is little doubt that you would have heard of the new Tengah – Singapore’s first new HDB town in over 20 years since Punggol. Located within the West Region, Tengah is bounded by Choa Chu Kang to the Northeast, and Jurong East and Jurong West to the South, Bukit Batok to the East, and the Western Water Catchment to its West and North. It was formerly a military restricted area since villagers there were resettled in the 1980s and 1990s. The estate stretches for over 700ha, roughly the size of Bishan. HDB envisioned Tengah as a “Forest Town”, to be designed with green, sustainable and smart features, and will also feature the country’s first car-free town centre. The first BTO project in Tengah, Plantation Grove, is the first of five housing districts to be developed in Tengah. Along with the other housing districts – Park, Garden, Brickland and Forest Hill, each Tengah district will be designed to correspond with a facet of the town’s identity. Already, Tengah is being hailed as the next Punggol – but is it really? The blueprint for Punggol 21 was first unveiled in 1996 by former Prime Minister, Goh Chok Tong, with the vision of developing Punggol 21 as “A Waterfront Town of the 21st Century”. Subsequently in September 2007, Prime Minister Lee Hsien Loong unveiled new plans under the Remaking Our Heartland (ROH) programme. Punggol was selected as one of the pilot towns under the ROH programme, with new strategies and plans formulated to reinforce and realise the vision of Punggol as a waterfront town.